Controversial Former Gospel Singer, turned Bad girl has ditched her low haircut for a new one. The singer who is known for posting unclad pictures of her online, decided to go for a cleanly shaved orange look. 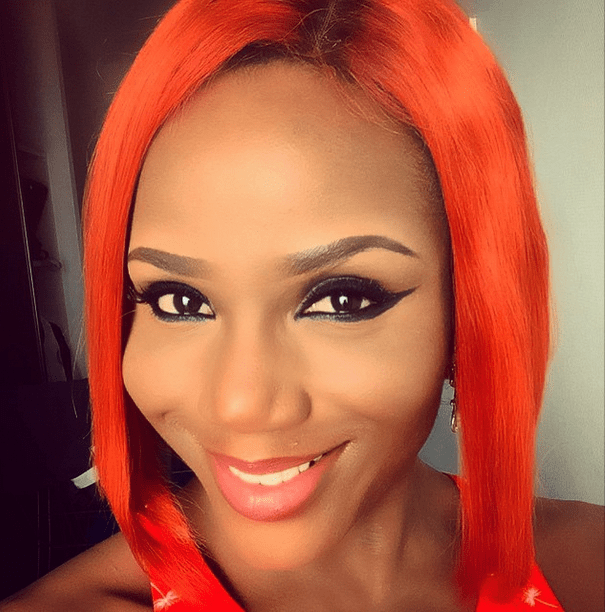 Maheeda who is known for her controversies looks good in this and we say a Yayy! Makeup was nicely done! Flawless or Flawed? Previous article… And Kylie Jenner Responds To Blac Chyna. Next articleOMG! See Comedian I Go Die’s Epic Throwback Photo.